Jordan Postserves judicial documents (notices) to the concerned persons and entities at the request of the plaintiff or his/ her agent in all the governorates of the Kingdom. Such delivery is performed withutmost care and accuracy through vehicles equipped with communication tools and by experienced and competent staff. Such agreement will contribute to expediting the legalproceedings and decreasing the number ofnotices returned or non-delivered. 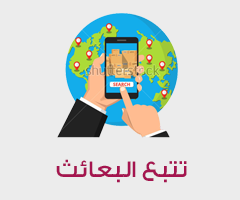 Moreover, it provides a speed of communication between the different governorates of the Kingdom, which is reflected in the proper functioning ofthe justice system. 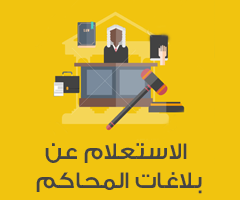 Jordan Postserves notices (judicial documents) issued by civil courts, executivebodies and the notary public (under an agreement with the Ministry of Justice) to the concerned persons at the request of the plaintiff, his/ her agent or the concerned body. The notice is documented in the system of notices containing the information of the notice such as; case number, notice number, type of case, name of court, name of plaintiff, name of defendant, and notice barcode to inquire about the information of this notice.Such process will contribute to expediting the legal proceedings and decreasing the number of notices returned or non-delivered. Jordan Post serves notices (judicial documents) issued bythe Supreme Judge Department, Sharia courts, Sharia Public Persecution, Mediation and Family Reconciliation Offices (under an agreement with the Supreme Judge Department)to the concerned persons at the request of the plaintiff. The notice is documented in the system of notices containing the information of the notice such as; case number, notice number, type of case, name of court, name of plaintiff, name of defendant, and notice barcode to inquire about the information of this notice. Such process will contribute to expediting the legal proceedings and decreasing the number of notices returned or non-delivered.